A shotgun-style house is a narrow home with rooms arranged in a row, one behind the other. 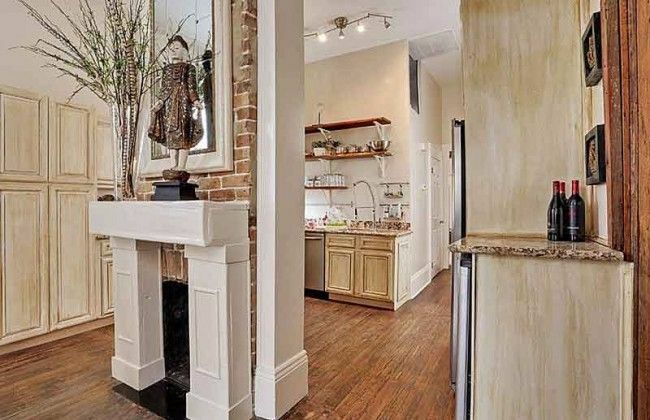 Synonymous with the New Orleans area, many of these historic homes are being renovated while still retaining their original, charming details. 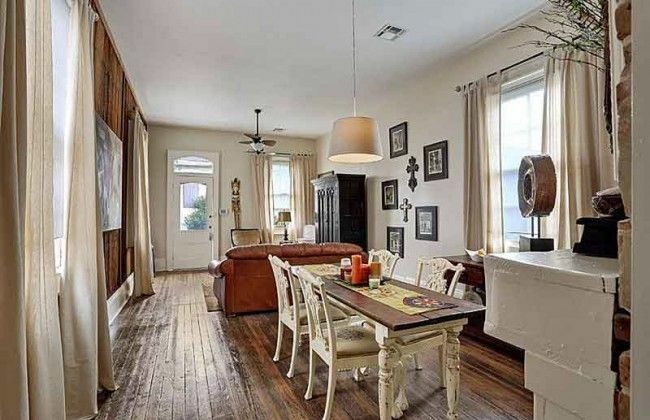 This particular shotgun house was featured by CIRCA Old Houses, an online historical house marketplace that showcases beautiful old homes for sale. 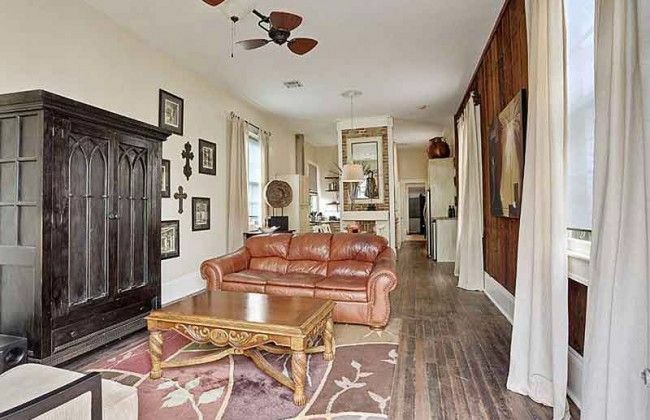 This shotgun features high ceilings, hardwood floors and a freestanding bricked fireplace. Take a full tour of the home below. Chances are, you've never seen one like this before! A full view of the shotgun layout can be seen upon entering the front door. A large open room leads straight through to the back of the house. The dining area sits between the living room and kitchen. Although the house is narrow, high ceilings and plenty of bright windows provide a sense of spaciousness. The freestanding brick fireplace is a showstopper, separating the dining space from the kitchen. It's details like these that draw many to purchase an old home over a new build. 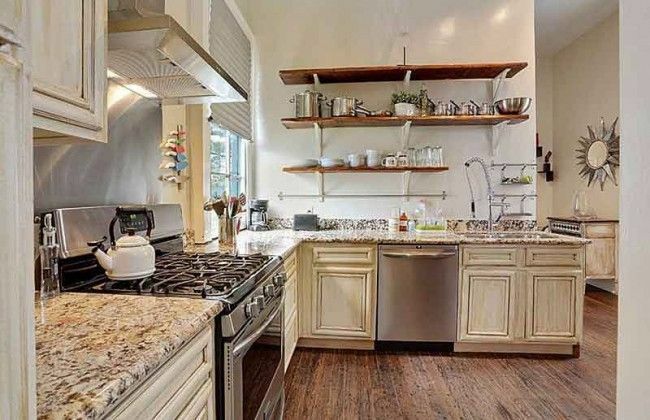 The kitchen is traditional with antique-finish cabinets and open wood shelving. Modern gourmet conveniences like stainless steel appliances and a pull-down sprayer faucet give the room an updated look. 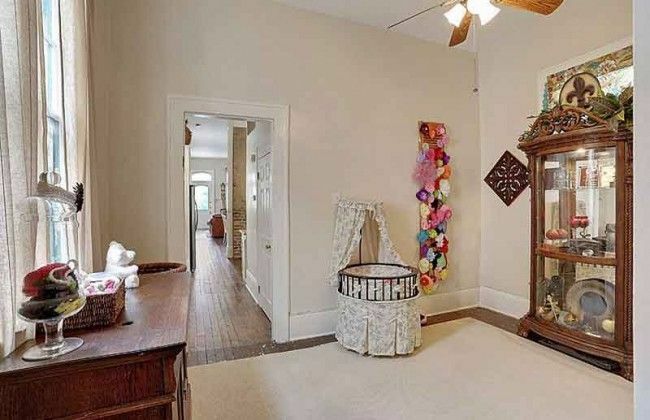 This room is set up as a nursery. From here you can see views straight through to the front of the house. 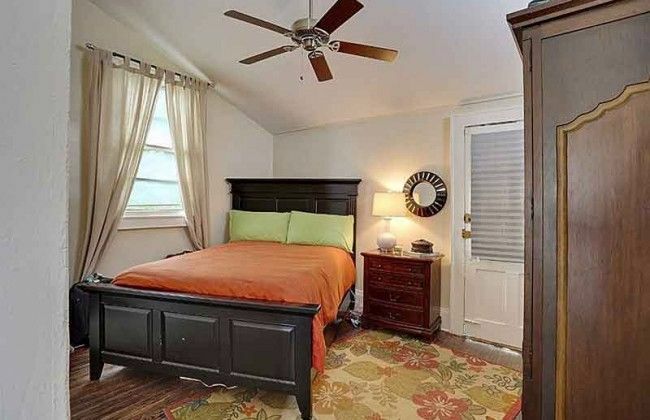 The master bedroom is small, but a vaulted ceiling and thick trim work add character. Closets are usually absent in a shotgun-style house; instead, armoires and cabinets are used for storage. 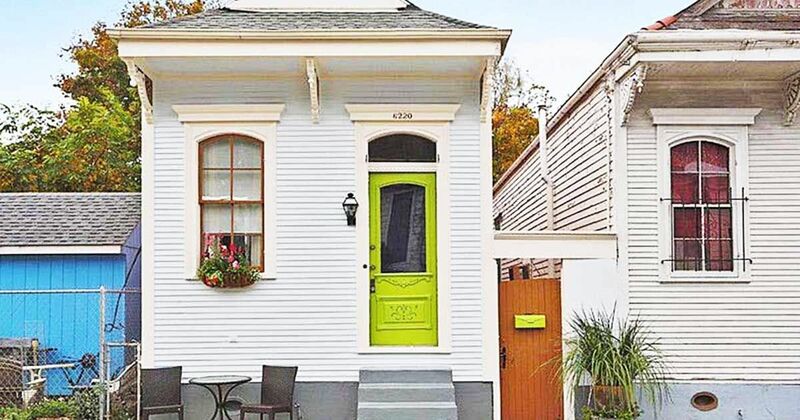 Do you think you could live in a unique shotgun house? If you're feeling inspired by this home tour, share it with your friends and family on Facebook, Instagram and Pinterest.